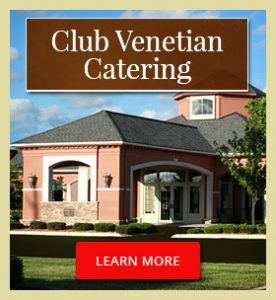 If you’re planning a Michigan wedding, then Club Venetian Banquet and Conference Center can help. Organizing nuptials should be a positive experience, but it also comes with a tremendous amount of stress. We can help you avoid a bridezilla with first-class services and a luxurious venue. Our facilities are top-notch and provide a gorgeous backdrop for wedding photos. Our main event space can accommodate up to 500 people with gleaming dance floor and fabulous chandelier lighting. All the necessities are housed in one place, so you don’t have to make special accommodations to get linens, seating, and more. Dealing with fewer vendors is a good way to avoid creating a bridezilla. We pride ourselves on offering the finest food and superb service to go with it. Since 1928, our facility has been preparing memorable meals for gatherings of all sizes. We understand what’s required to make a reception dinner go smoothly. 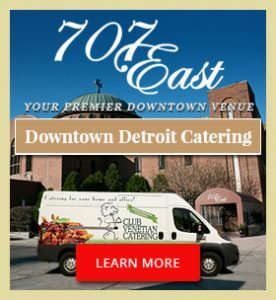 Brides and grooms can come to us to discuss their expectations so that we can provide cuisine that matches the occasion. 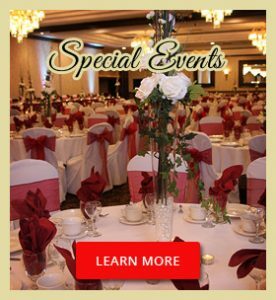 Our seasoned staff has years’ of event planning experience. We cover everything from the must-haves to the smallest details. All you have to do is show up with your guests and wedding party ready to celebrate! It’s a dream come true for couples and their loved ones involved in the planning process. 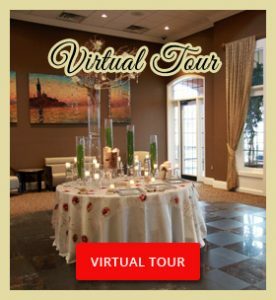 Contact us and plan a visit to our location in Madison Heights, Michigan to tour our facility and learn more about how we can make your special day one to remember!